My beloved Fujifilm X100 arrived to today. It was a nice moment to open the package. Great reunion. I got a fantastic Leicatime half-case for it too and they say that this case is the Bentley of the half-cases. It surely feels great and is top-quality. But more of the Leicatime case later. Now I want to share my reasons to switch from Ricoh GR to Fuji X100. I think one of the main reasons is the X100’s fantastic viewfinder. It seems I want one even if I am not using a viewfinder all the time. But I like to have options and X100 offers three options to me: an LCD, an EVF, and an OVF. It is so great feeling to rise the camera on the eye and become as a one entity with the camera. Of course holding camera using a viewfinder stabilizes the camera nicely too. Number two reason is the focal length. I felt that the GR’s 28mm lens was too wide for me many times. I couldn’t get a proper grip to that wide focal length. It may seem that 28mm and 35mm are close to each other but in reality it is not so in this wide angle area. 35mm is so much easier to me. Another asset is the full stop faster lens in the X100. F/2.0 versus F/2.8. Important thing especially in indoor shooting and gives better background blur and bokeh. The above things were the main things to make me decide. But there are many others though. I like the feel of X100 more than of the GR. Fuji is nicer in hand and feel more pleasurable to use IMO. There are those sweet aperture and shutter speed rings in X100. Old school way. Me like. It is much easier to move the focus point in X100 and I use that feature quite a lot. Manual focus is better implemented in X100 providing nice focus peaking and a real (even if by-wire) focus ring on lens. I like Fuji’s JPEGs more than GR’s. Fuji’s colors are more pleasing to me in JPEGs. Just better. Spot metering on X100 is working much better than in GR. I am using also that in many instances. And last but not least, Fuji has better high ISO performance (at least at ISO 3200-6400). So, here you go. My reasoning in brief. My X100 story is similar to my X-Pro1 story. Buy a brand new, sell it, and buy back as a used one. But I am not going to sell them again. My goal is going to have all-Fuji stuff (maybe I will keep my Leica Digilux 2 in addition to them). I agree, 28mm and 35mm are two different animals: 28 is semi-wide, 35 is close to normal. Frankly, I was surprised you gave up this camera in the first place, you did very well with it and while it has a fixed prime, you never seemed to mind that. And, you like the Fuji design (which I don’t care for). I think this will be great for you and given that you shoot portraits of your boys so often, 35mm is a much better focal length for that than 28mm. Good luck with it Jonne, now go out and take a lot more pictures. This problem has been stuck in my mind lately: get new Ricoh GR or used Fuji X100. 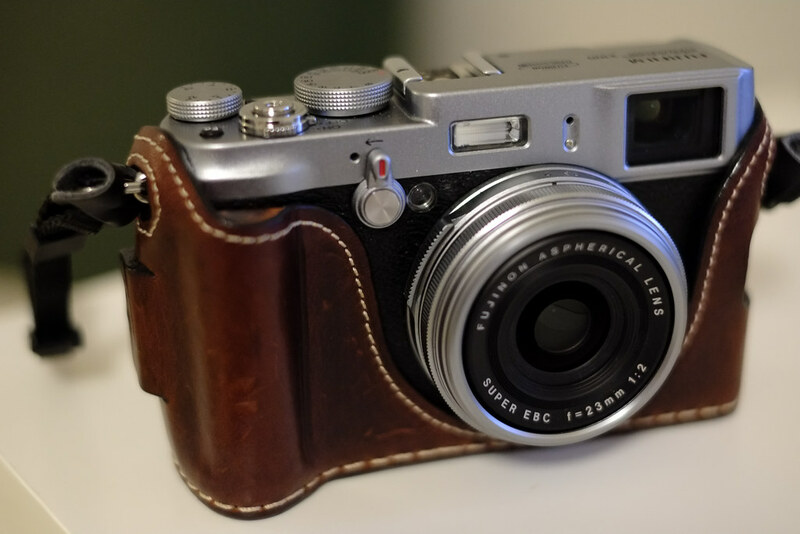 X100s is out of my budget… the choice comes down to size (GR) vs more controls (X100) — but still cannot make decision. After more than a year shooting with only GRD3, I think I’m more leaning to Ricoh GR. What did you miss most from X100 when you use GR? Wow, interesting journey my friend. It seems you really have moved around the Fuji camp and like their products. Very exciting news and I agree with rwanderman too, you did very well with both. Thanks, Jesse! I bought a used XF 18-55mm zoom lens for my X-Pro1 and I am going to get it next week. I think that zoom will be a nice general lens option when I want to take only one lens with me. A late read. Very helpful. I’ve been considering moving the other way, but I’d need to get much more used to 28mm first. Prefer the X100S with the teleconverter, but that increases size: do I really need it when I got the Leica X-Vario at a knock-down price?! 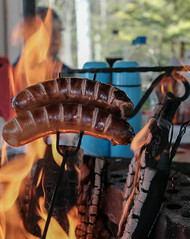 One thing: never, never sell your Digilux 2 – it’s an amazing camera in use and in results!